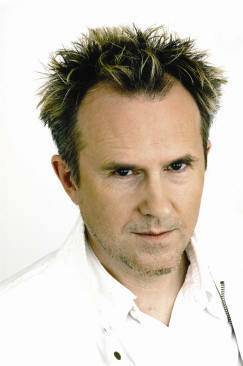 Howard Jones will embark on a nationwide UK tour on Wednesday 11th April at the O2 Academy Bristol. This will be the first time that Howard will perform his first two studio albums 'Human’s Lib' and back to back, live in their entirety, on a full-scale nationwide UK tour. Tickets for what promises to be an unforgettable tour of ground-breaking, classic electronic pop, will go on sale to the general public on Friday 2nd December at 10am by booking online from www.ticketweb.co.uk or calling the 24 hour ticket hotline 0844 477 2000. Fans that can’t wait for the general ticket on-sale date on Friday December 2nd will be able to take advantage of a special “Ticket Pre-sale” with Absolute 80’s radio at 10am on Wednesday 30th November via the following web links – www.absolute80s.com andwww.absoluteradio.co.uk/tickets.